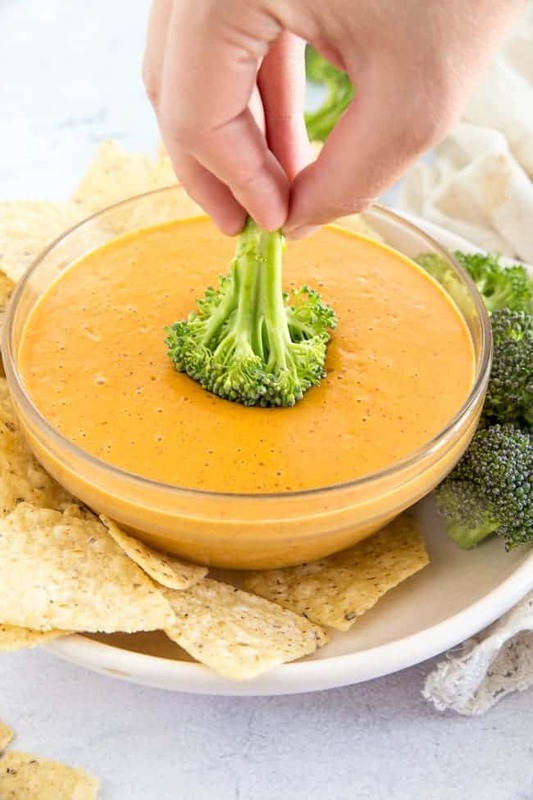 Vegan cheese is the perfect dairy-free option for topping veggies, dipping chips into, and just slathering on top of your favorite casseroles, burritos, and potatoes. 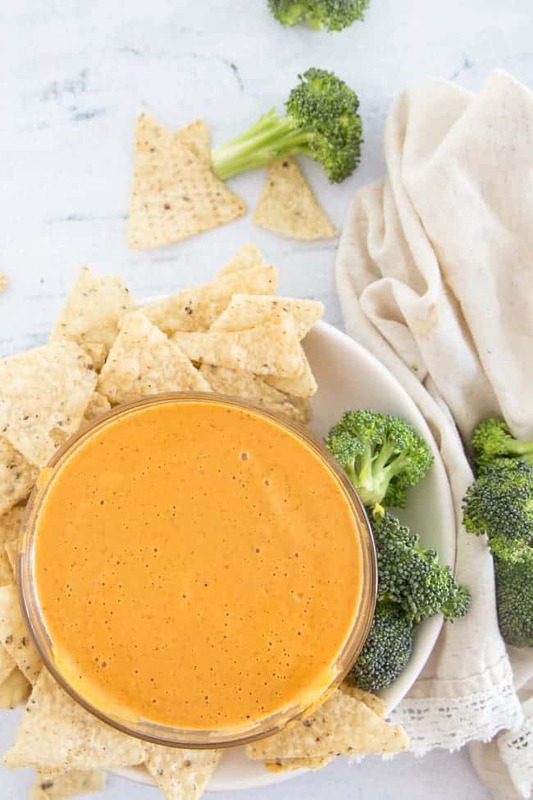 Go ahead and bookmark this recipe to your browser right now so you have it on hand whenever you get the craving!! 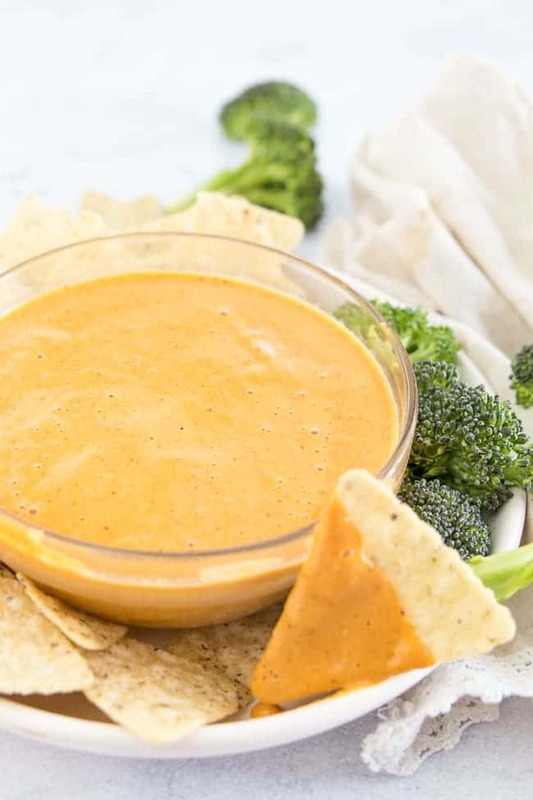 Vegan Cheese sounds like a totally weird thing. 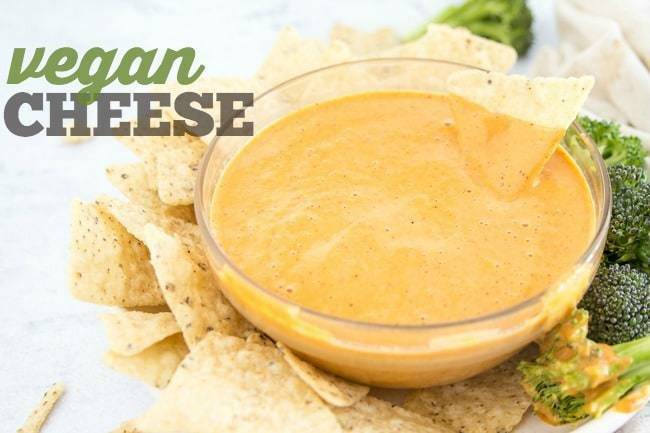 Vegan Cheese sounds like something you wouldn’t want to touch with a 10-foot pole. Vegan Cheese gets a bad rap because there are so so many bad vegan cheeses on the market. I’m not gonna call any brands out, but holy gross. There are some that taste like plastic. There are some that are completely inedible. Most of them don’t melt. Most of them ruin our meals and leave us contemplating whether we can actually commit to this plant-based life. Because, hello, cheese! You gotta have it. In my more-than-a-decade commitment to vegetarianism, I’ve been asked why I don’t just go vegan about 367837 times. Each time, the answer is CHEESE. You know, the normal stuff – tacos, eggs (another reason the switch to vegan life is rough), casseroles, everything. But even when we order fries, I gotta know if there’s cheese! But I still gotta have it! It makes everything better. And just like that you realize you’ve got to figure out a way to eat cheese without actually consuming dairy products. 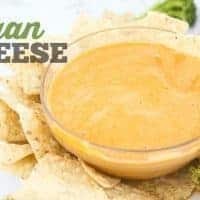 Whether it’s for ethical reasons, health reasons, intolerances, or just the fact that cheese makes your belly feel horrible, sometimes you just need a vegan cheese recipe. One that doesn’t taste like plastic. This is the one. This it the vegan cheese you’re gonna need in your plant-based arsenal. 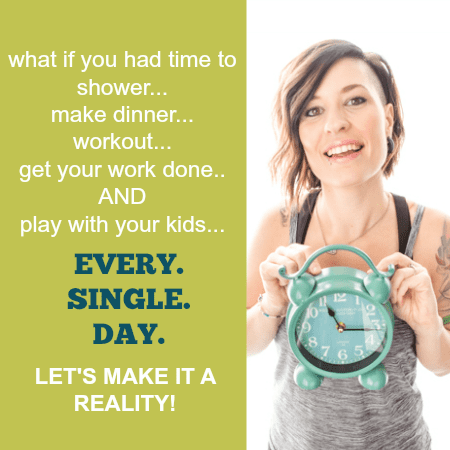 Make it happen – put it on all the things! 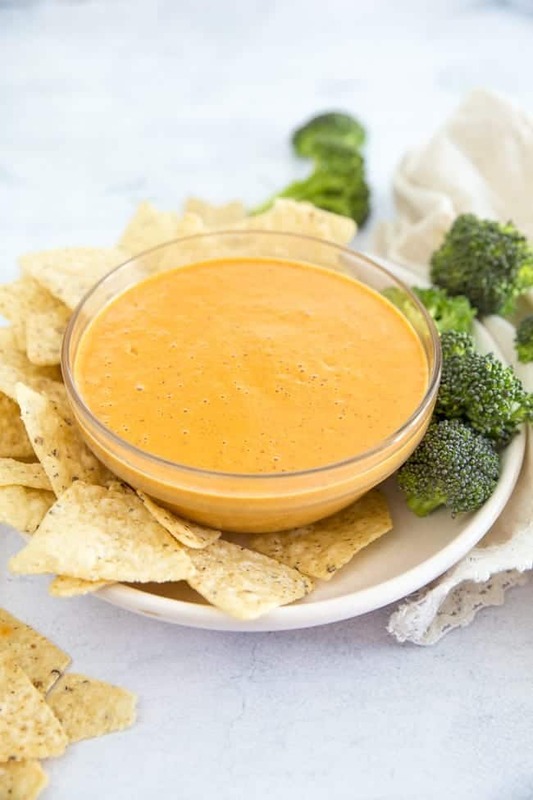 This vegan cheese is the perfect dairy-free option for topping veggies, dipping chips into, and just slathering on top of your favorite casseroles, burritos, and potatoes. Once oil is heated, add in your chopped onion and red pepper. Season with salt and pepper. Saute vegetables for about 7 minutes, stirring frequently. Transfer your sauteed mixture to a blender. To the blender, also add in the nutritional yeast and tofu. Blend until smooth. 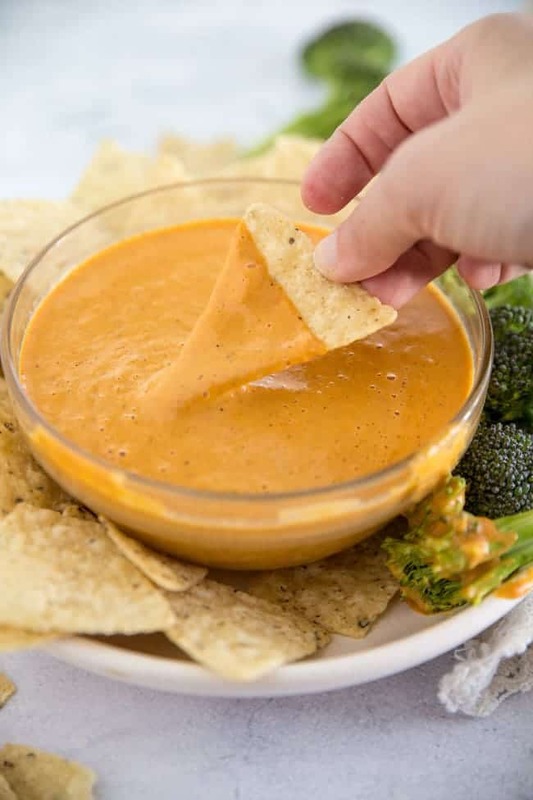 Pro-tip: Add your favorite salsa for a yummy queso. Add veggie chili for chili cheese. 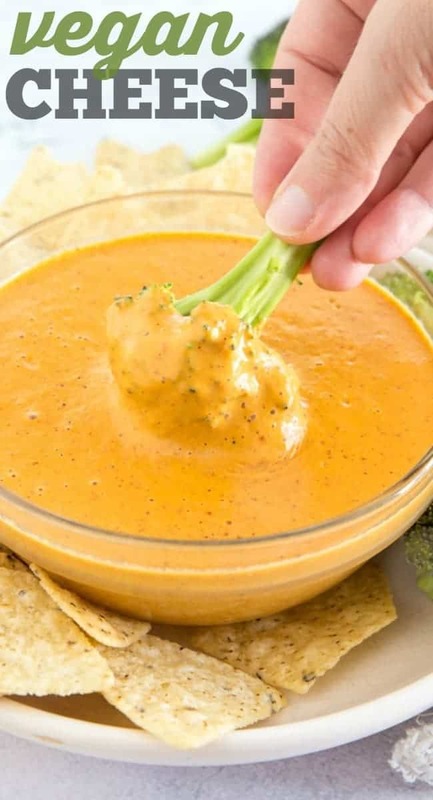 This cheese sauce looks CRAZY GOOD! Love that you get in some extra protein from the tofu! YES! And I’m always looking for ways to get more protein in. You’ve got to try this out! I hope you get a chance to try it out Britt. Let’s see – no tofu. I haven’t tried it any other way. I wonder if a nondairy plain yogurt would work. Or dairy free cream cheese. Both are generally soy based, so I don’t know that that helps. You could also soak cashews to make a cashew cream sauce. Thank you for this recipe!!! Does it matter what kind of Silken Tofu? All I can find in my town is firm or extra firm….and not the Silken brand. Does it matter? Hi Sara! The brand does not matter in this case – silken is just describing how soft it is. You may be able to find silken tofu down the asian food aisle in a non-refrigerated pack. Or sometimes it’s hidden elsewhere in the store and you have to ask for it. Using firm or extra firm will make for a really grainy and not appealing texture. Silken is what you’re looking for. I hope that helps! Ahhh…I see. Thank you so much!! Does the silken tofu need to be pressed to get the water out? Hi Jeanie! Welcome to the vegan game. It can be so overwhelming, but I promise it gets easier. You’re going to love this cheese. But no, the silken tofu doesn’t need to be pressed. Once you get it, you’ll see that it’s super soft and that pressing it would just turn it to mush – which is why it works so well in this recipe and others like pudding, pies, cheesecakes, smoothies, etc. Let me know what you think! Is there a good option to replace the bell pepper? My digestive system can’t handle them. I’ll have indigestion so bad I’ll feel like I need to go to the ER. Not a fun experience! Option two… can it just be lleft out? Hi Donna! What about tomatoes? That may make a good replacement. Or I’m sure you could leave it out. Just may have to adjust some of the seasonings to make it flavorful enough. Enjoy!